Our experts in Mansfield recommend this option because the brighter lights will give you greater security as well as greater convenience. It will be easier for you to provide maintenance in a brighter garage as well. You should consider an opener which works with one or preferably two bulbs of 100 watt each. This is one of the main safety measures which you need to take. When devices used for the opening and closing of the door are installed at a greater height, they will be out of the reach of children. Kids will not be able to meddle with them and get hurt. 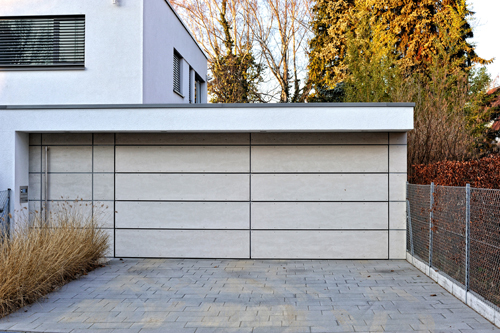 There is the risk of finger injuries if your garage door lacks pinch-resistant joints. Finger injuries mainly happen when fingers are placed in between door sections while pulling down the door. Suitable gripping points or lift handles should essentially be present inside or outside the door, if it lacks pinch-resistant joints. Update your garage door accordingly. You can have an all glass garage door and still maintain your privacy. You can use a one way mirror film to allow you to look out without allowing people outside to look in. You can also use frosted decals to achieve that frosted look and protect your privacy.